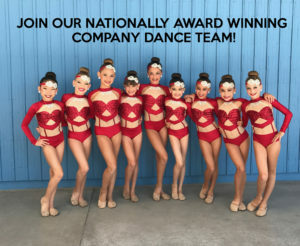 Founded in 1985, Orange County Performing Arts Academy’s mission is to provide competitive and recreational dancers of all ages access to Orange County’s premier dance instructors at a family-focused, award-winning studio centered on providing the utmost in fun and fierce technical and physical training. OCPAA prides itself on procuring and maintaining nationally recognized permanent and guest instructors that are the top authorities in the industry and in their respective dance genres. The studio is known for producing confident, talented, seasoned and winning dancers. Our strong recreational program offers local families a fun and affordable outlet to explore youngsters’ interest in dance culminating in an impressive end of season studio-wide finale. Focused, competitive and in tune with the latest dance trends our studio is highly dedicated to proper and exceptional instruction as a way to maintain dance in its purest form of unique and inspired creative expression.